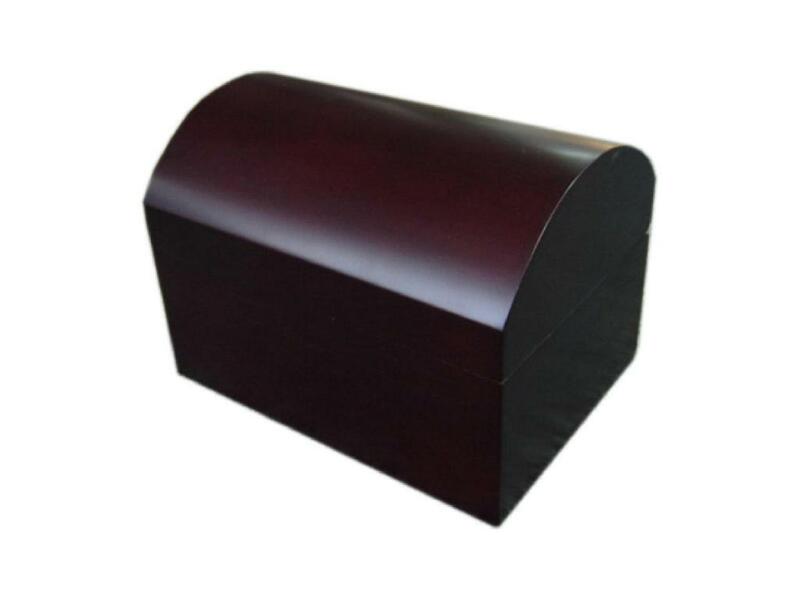 This high glossy, "trunk style" finished wooden box is made out of solid poplar wood. It has been stained both inside and outside. We can also decorate it with felt lining. We use 90 degree hinges and a magnet closure. Dimensions are 7"x5"x5". We take great pride in manufacturing the highest quality custom made wooden craft and gift boxes for each and every customer. We have the skilled workforceand expertise required to meet any and all of your wooden box needs.